We believe the lack of progress made in Mr. Tsege’s case following three years of torment for Mr. Tsege and his family necessitate a change in the UK Government’s approach. Our organisations call for the UK Government to urgently shift its focus to securing Mr. Tsege’s return to his home in London and reuniting him with his partner and three children. Furthermore, we have concerns about the lawyer’s independence and effective counsel. Mr Tsege was unable to choose his own legal representative freely. Rather, he was presented by the Ethiopian authorities with a choice of just four lawyers, as opposed to being provided with the list of twenty registered Ethiopian lawyers published on the British Foreign & Commonwealth Office’s website. We also understand that Mr Tsege’s discussions with his lawyer have been held within earshot of security officials – in contrast to international standards. As you know, Mr Tsege was sentenced to death, in his absence, in 2009 while living with his family in London. It was a highly politicized trial, which the US State Department described as an act of “political retaliation” that was “lacking in basic elements of due process”. [vii] We understand that Ethiopia made no extradition requests to the UK for Mr Tsege during his trial or following his conviction. The focus on securing legal access for Mr Tsege overlooks that there can be no hope of a just legal process for Mr Tsege in Ethiopia’s compromised court system – the very system which subjected him to rendition, incommunicado detention, and an in absentia death sentence. In addition, it is out of line with the clear recommendations made by the African Commission on Human and Peoples’ Rights and the UN Working Group on Arbitrary Detention, both of which have called upon Ethiopia to release him immediately from detention and return him to the UK. You state that during the Ambassador’s last consular visit, “Mr Tsege was doing well and was in good spirits.” This is in contradiction with the readout from the visit which states Mr Tsege is still seeing spots from a prison assault earlier this year. Mr Tsege has not been allowed to visit an independent medical professional in the three years of his detention. In a majority of cases, the only possibility for a detainee who has experienced torture or ill-treatment to provide the consular official with information or to raise a complaint about his treatment is in the context of a private visit. As such, a failure to ensure privacy of communication undermines the entire purpose of communication in the framework of consular visits as envisaged by Article 36 (1) (c) of the VCCR. In this respect it is disingenuous to suggest as you do in your most recent letter that the Ethiopians’ refusal of private visits is in accordance with its obligations under this treaty. As you are aware, Andy’s family has not spoken to him since his abduction, aside from a short surprise phone call over two and a half years ago. In March of this year, following a visit to Ethiopia, you announced that you had secured a visit for Mr Tsege’s partner and their three children. Over six months later, the Ethiopian embassy has still refused to accept the family’s visa application and your office has not been able to secure the necessary documentation from Ethiopia to allow them to travel there to visit Mr Tsege. Ethiopia has repeatedly gone back on promises it made to the British Government. The Ethiopian Government has refused to give assurances that Andy’s death sentence will not be carried out. Andy’s life is in danger as long as he continues to be arbitrarily detained in Ethiopia. 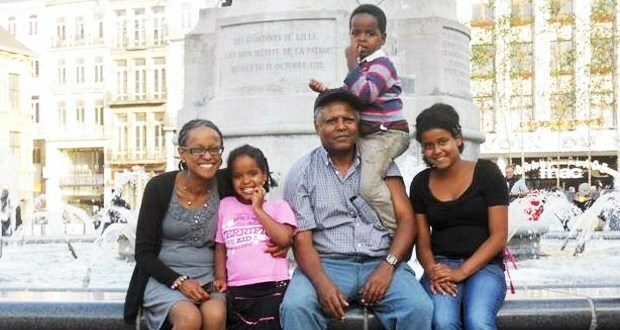 After over three years of detention and despite promises by the Ethiopian Government, Mr Tsege does not receive regular consular visits, has not been able to see his partner and children, and is still without independent legal representation. Ethiopia has repeatedly gone back on its assurances to the UK in relation to Mr Tsege’s case. It is not clear that the Ethiopian Government would act differently regarding assurances that his death sentence will not be carried out. You recently hosted the Ethiopian Prime Minister and he was invited to Downing Street, where he met with Prime Minister Theresa May. While we understand that Mr Tsege’s case was raised at the meeting, it is becoming increasingly clear that after three years of raising Mr Tsege’s case, a different approach in this case must be taken to continue effective collaboration with Ethiopia within a rule-based international system. The only way to ensure Mr. Tsege’s safety and wellbeing is for the UK to urgently seek Mr Tsege’s return home to London. We urge you to reconsider your priorities in Mr Tsege’s case, and to negotiate his return to the UK. [vi] Note of a meeting between the Secretary of State for International Development and the Prime Minister of Ethiopia, 16 July 2015, disclosed to Ms Hailemariam on 29 January 2016 pursuant to a Subject Access Request under the Data Protection Act 1998; Note of a meeting with the Foreign Minister of Ethiopia, Dr Tedros Adhanom, 21 July 2015, disclosed to Ms Hailemariam on 29 January 2016 pursuant to a Subject Access Request under the Data Protection Act 1998. [viii] The UN Special Rapporteur on Torture has stated that Ethiopia’s treatment of Mr Tsege has violated the Convention Against Torture. Report of UN Special Rapporteur on Torture to Human Rights Council (March 2016), para 148. [x] See, The Law of Consular Access: A Documentary Guide; Norway is another example of a State which by statute requires the communication to be private; the US Department of State also considers that only private communication can achieve the purpose of consular access. [xi] National Offender Management Service, ‘Providing Visits and Services to Visitors’, 2nd Revision, 28 April 2016.